Samuel Eto'o is all set to become the World's highest paid footballer as on 23 August 2011, Anzhi Makhachkala reached an agreement with Internazionale to sign Eto'o in a three-year deal that is expected to make him the world's highest paid player, with an earning of €20.5m($29 million) per season for the next three years. He is on his way to Russia, where billionaire oligarch Suleyman Kerimov will make him the highest paid footballer in the world. In short it would be £20,000,000 per year, about £400,000 per week, £57,142.86 per day and £2380.95 per hour for the Cameroon Striker. 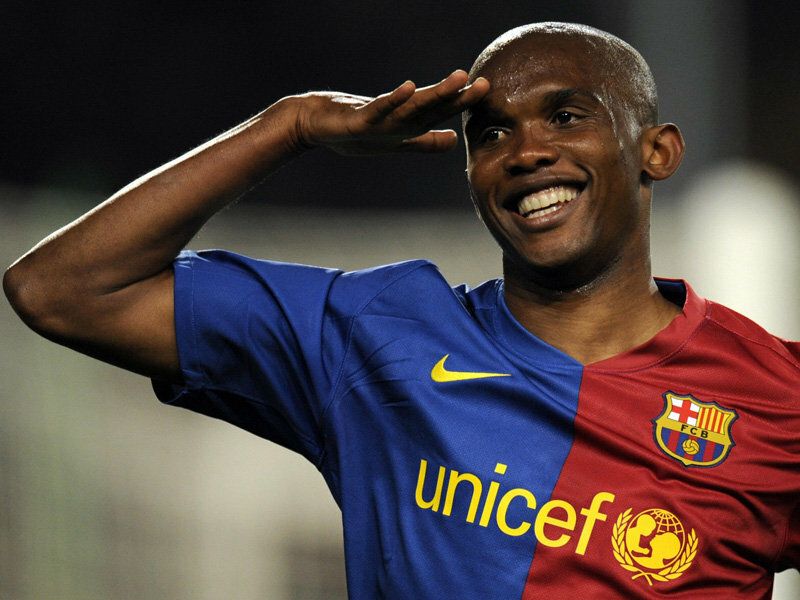 The 30-year-old Cameroonian may make his debut for club Anzhi already on Saturday in Rostov-on-Don with his new jersey number, 99.A three-time Champions League winner with 469 career goals for Inter, Barcelona and Mallorca, Eto'o has a proven track record in the world's toughest leagues and joins Anzhi still in his prime, a first for Russia's improving but still obscure Premier League. "While financial terms were not disclosed, Eto'o is expected to be paid €20 million ($29 million) net per season, eclipsing the estimated €12 million ($17.4 million) that Cristiano Ronaldo earns at Real Madrid and the €10.5 million ($15.2 million) that Lionel Messi is paid by Barcelona."